The zenith of John Paul II’s thought on the human person, marriage, and the family is found in his “theology of the body.” For the first time, William E. May provides a comprehensive yet readable overview of this work in the context of several other key writings of Karol Wojtyla/John Paul II—including Love and Responsibility, Familiaris Consortio, and his Apostolic Letters, Mulieris Dignitatem and Letter to Families—providing rich insights into the development of the theology of the body. *May employs Dr. Michael Waldstein’s latest and complete translation of theology of the body: Man and Woman He Created Them. 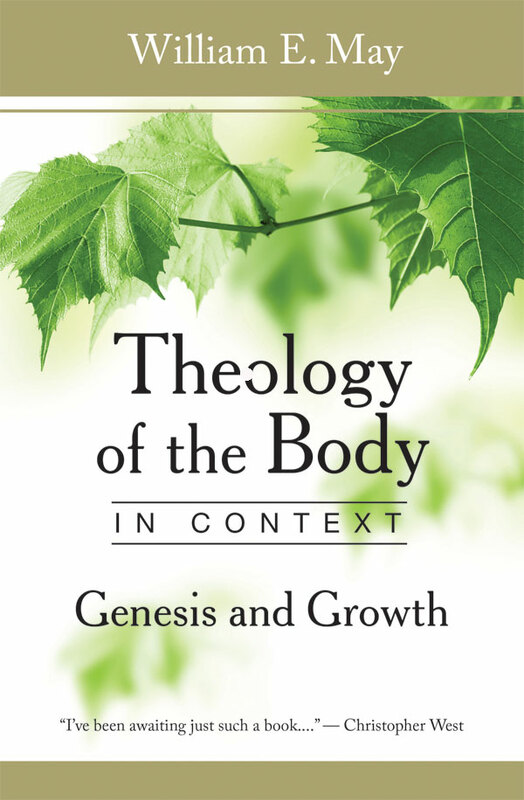 *An accessible path through the theology of the body without reading the full text. William E. May is emeritus Michael J. McGivney Professor of Moral Theology at the Pontifical John Paul II Institute for Studies on Marriage and the Family. He taught there from 1991-2008, after teaching moral theology at The Catholic University of America from 1971-1990. He is the author of many books, among them Marriage: The Rock on Which the Family Is Built and Catholic Bioethics and the Gift of Human Life. He currently serves as Senior Fellow for the Culture of Life Foundation. He and his wife Patricia have been married for 52 years and have been blessed with seven children and sixteen grandchildren.